U.S. Sen. Ted Cruz on Wednesday pressed U.S. Attorney General Jeff Sessions on why the Trump administration was still operating under a "catch-and-release" policy for undocumented immigrants in federal custody. Amid a heavy backlog in immigration courts in Texas and California, U.S. Attorney General Jeff Sessions on Wednesday said the federal government was considering ways to reduce the number of undocumented immigrants who are granted hearings with immigration judges before being deported. While a legislative solution is preferred, he added, his agency was investigating what it could do absent Congressional action. The comments were made during a U.S. Senate Judiciary Committee hearing where U.S. Sen. Ted Cruz, R-Texas, pressed Sessions on whether the federal government was still operating under an Obama-era "catch-and-release" policy where undocumented immigrants are not immediately deported. Sessions pushed back against Cruz’s description of the process as a “policy” and said it was instead the current reality because immigration courts are experiencing a record number of backlogged cases. He said that's due to a “loophole” that allows undocumented immigrants who claim a credible fear of returning home the right to appear before an immigration judge in the United States. The number of pending deportation cases in the country has more than doubled since 2011, according to data compiled by the Transactional Records Access Clearinghouse at Syracuse University. That year there were about 297,500 pending cases, but as of August 2017 the number had grown to more than 632,000. More than 100,500 of those cases are pending in Texas, the second-highest number after California’s 118,750. Advocates argue that the Trump administration’s efforts to make deportations more “efficient” are actually hindering efficiency and jeopardizing due process. In a report released Tuesday, Human Rights First said that an earlier policy of sending immigration judges to the border led to several postponed cases elsewhere and an eventual lack of representation for undocumented immigrants who have access to counsel. Immigrant rights groups and attorneys are also quick to point out that not everyone who claims credible fear is released while they await a hearing. A recent case out of Texas involved a Mexican journalist, Martin Mendez Pineda, who fled the resort city of Acapulco after he was attacked by Mexican federal officers and later threatened at gunpoint by six armed men, according to case documents provided by his attorney. But after trying – and failing – to be released from immigration detention while awaiting his hearing, he eventually gave up and voluntarily returned to Mexico. 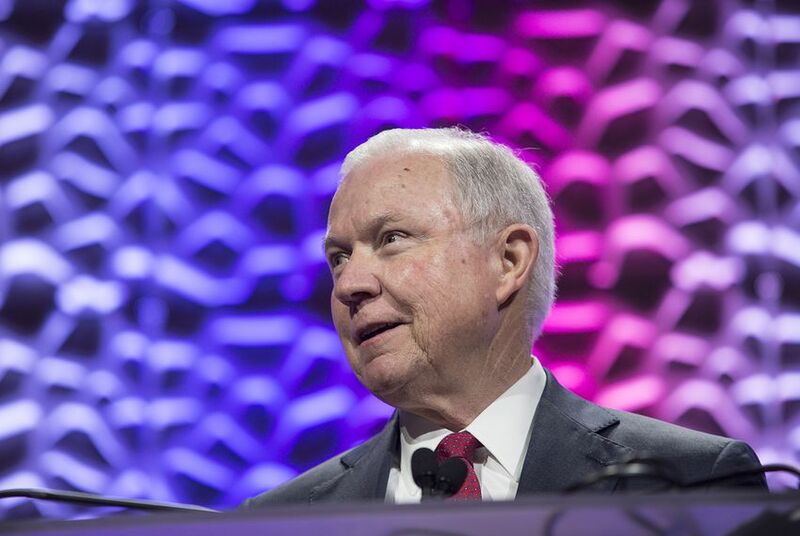 Sessions' remarks on Wednesday come a week after the attorney general suggested that immigration judges should have quotas in an effort to reduce the current case backlog. The suggestion didn’t go over well with immigration judges. “Tying numerical case completions to the evaluation of the individual judge’s performance evaluation specifically interferes with judicial independence and clearly will put immigration judges in a position where they could feel forced to violate their legal duty to fairly and impartially decide cases in a way that complies with due process in order to keep their jobs,” the National Association of Immigration Judges said in a written statement prepared for Wednesday’s hearing. On Monday, at a forum at the University of Texas, Austin-based immigration attorney Virginia Raymond said the judges’ opposition to the proposal speaks volumes.